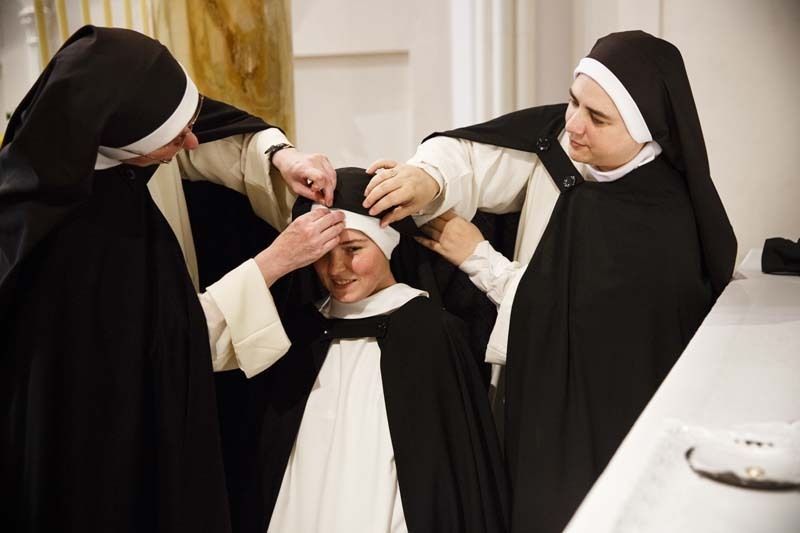 Sister Mary Martin, Prioress (left), and Sister Mary Catherine (right) replace the black veil on 28-year-old Sister Maria Teresa (center) as part of her Final Profession ceremony. Her profession of vows within the ceremony seals her commitment to God. Having entered the monastery seven years ago, Sister Maria Teresa has chosen to lead a hidden life of prayer and ritual, removing herself from the outside world in order to focus on the spiritual realm and a higher calling--praying to save all souls.